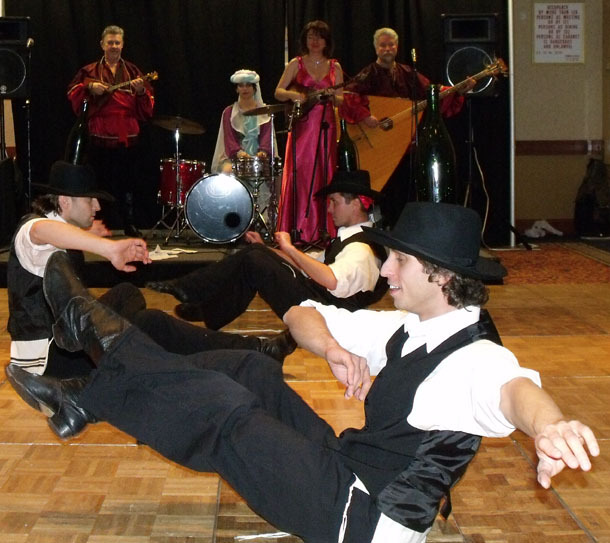 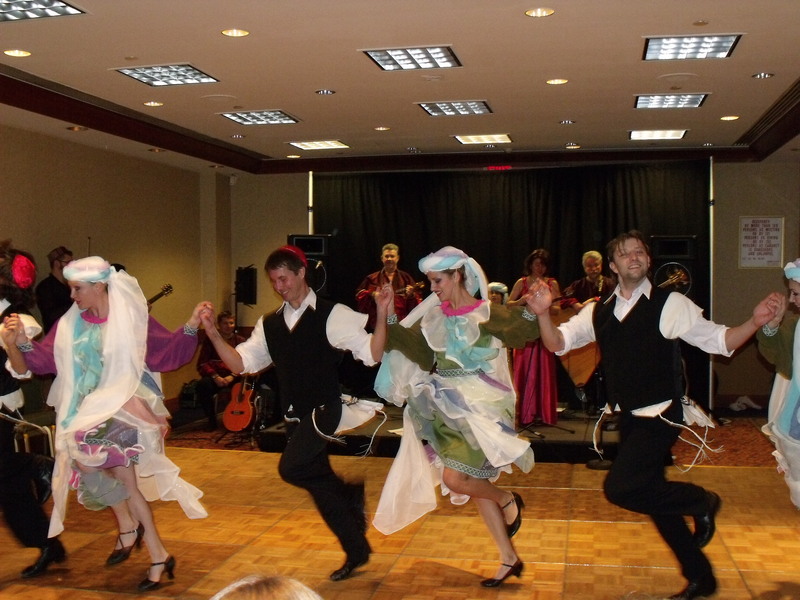 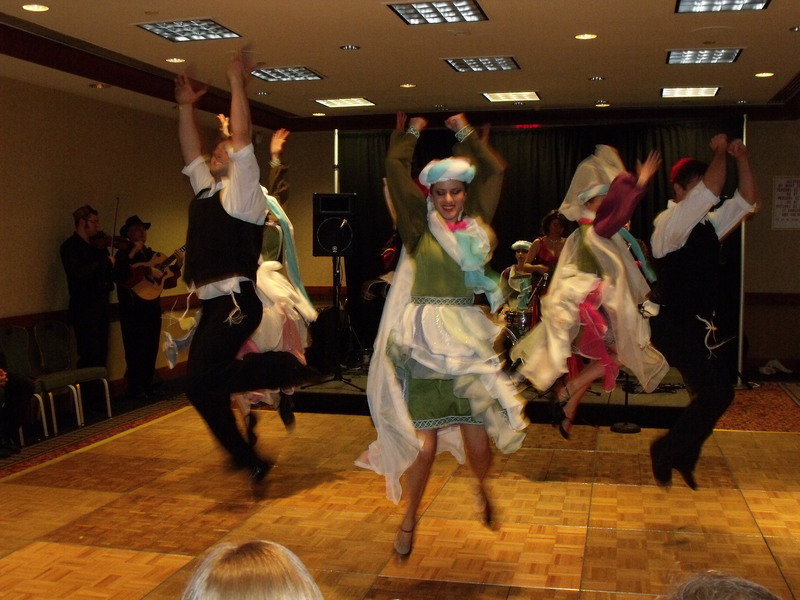 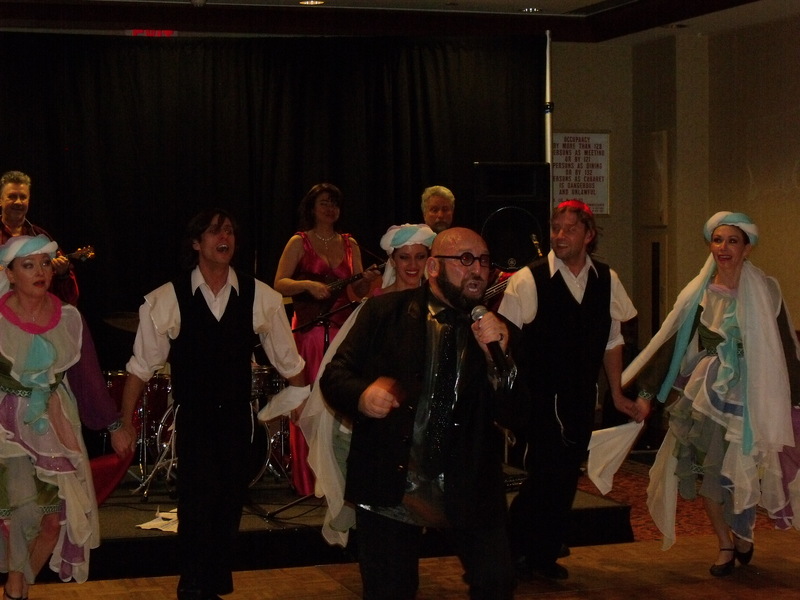 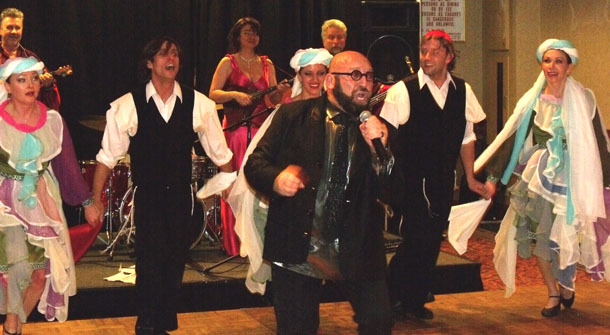 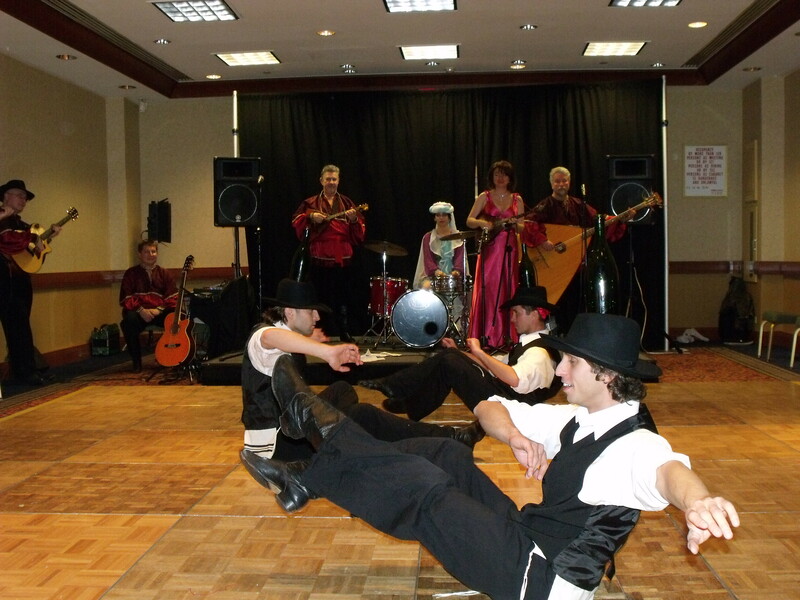 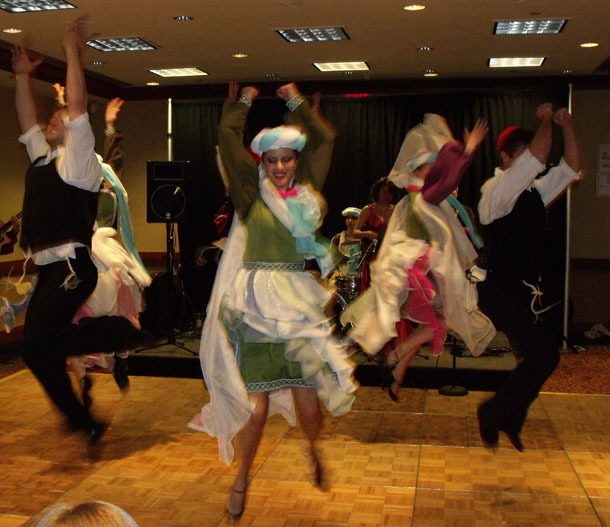 Jewish wedding dance from Odessa region of Ukraine choreographed by Alexander Rudoy, well-known in New York City Jewish-Russian-American choreographer and dancer. 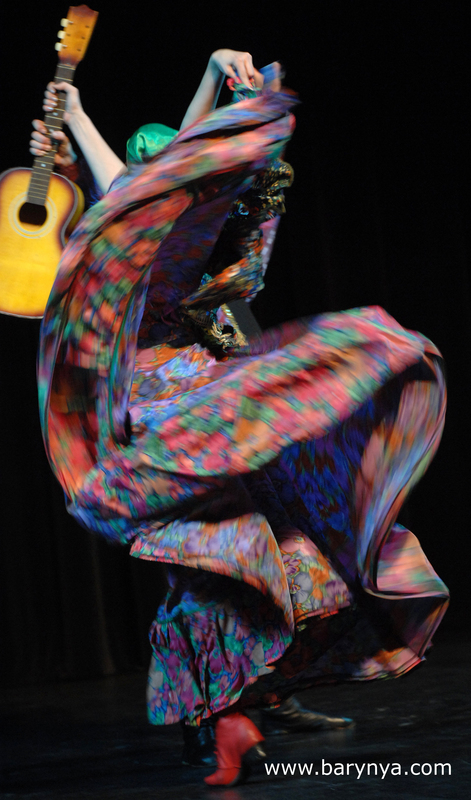 Photos taken by Dalia Bagdonaite. 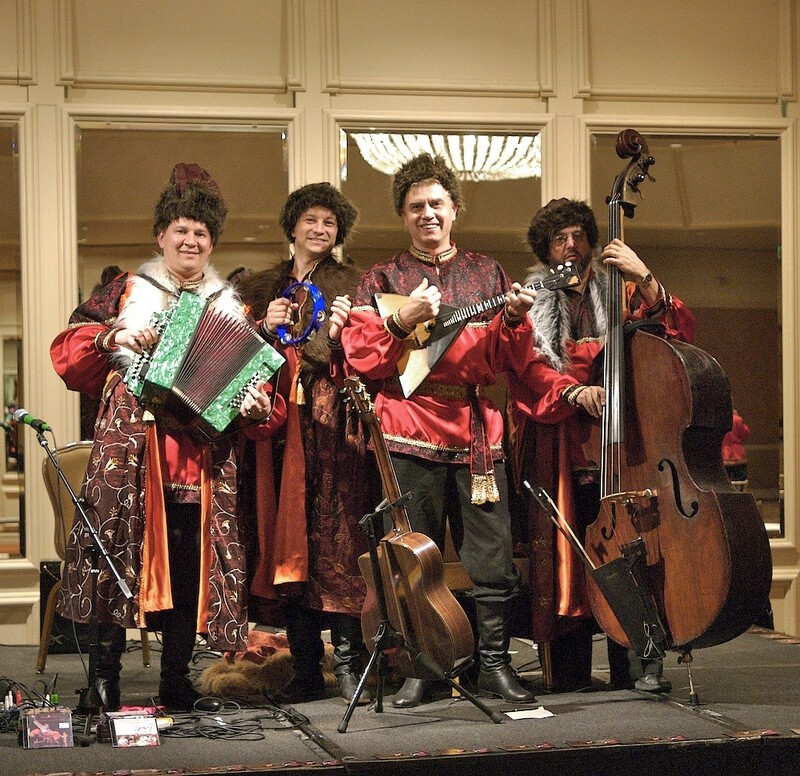 Klezmer music courtesy of Richard Bernard (www.KlezmerLosAngeles.com, www.RussianBalalaika.com). 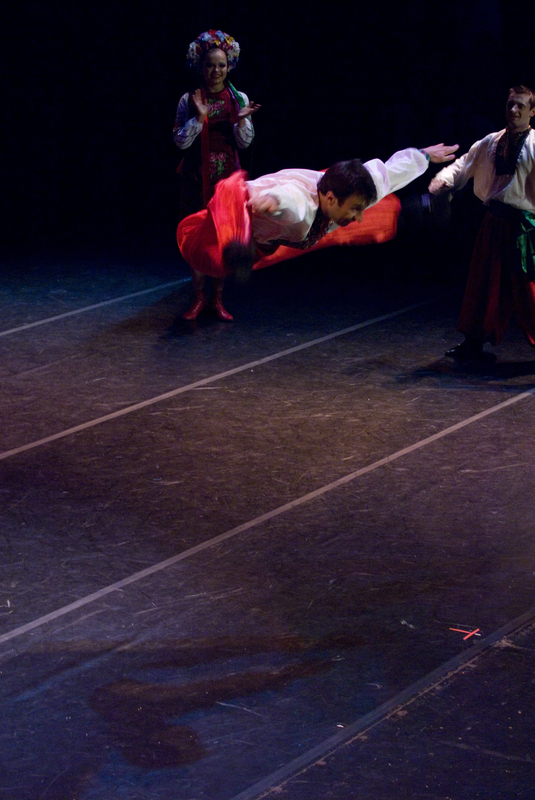 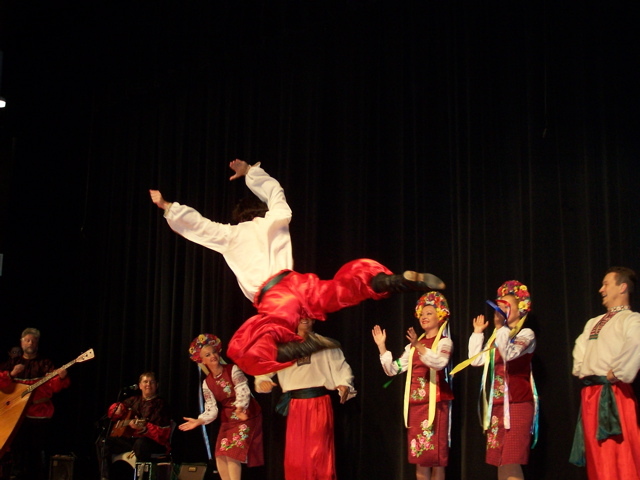 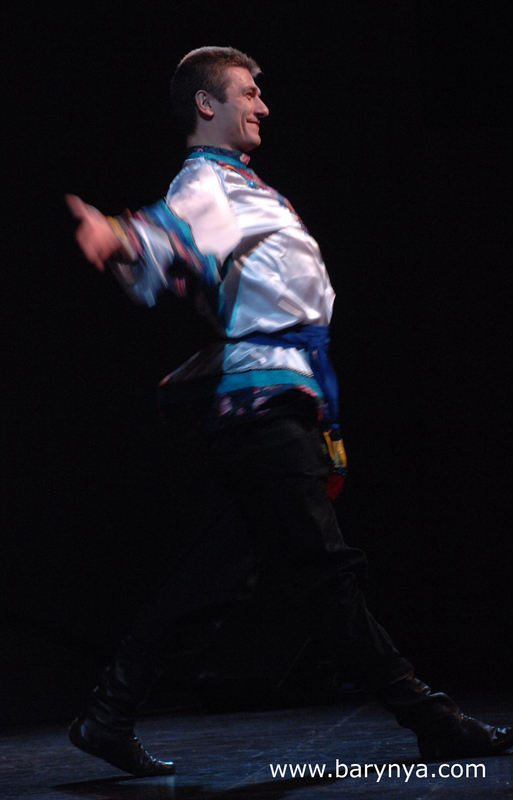 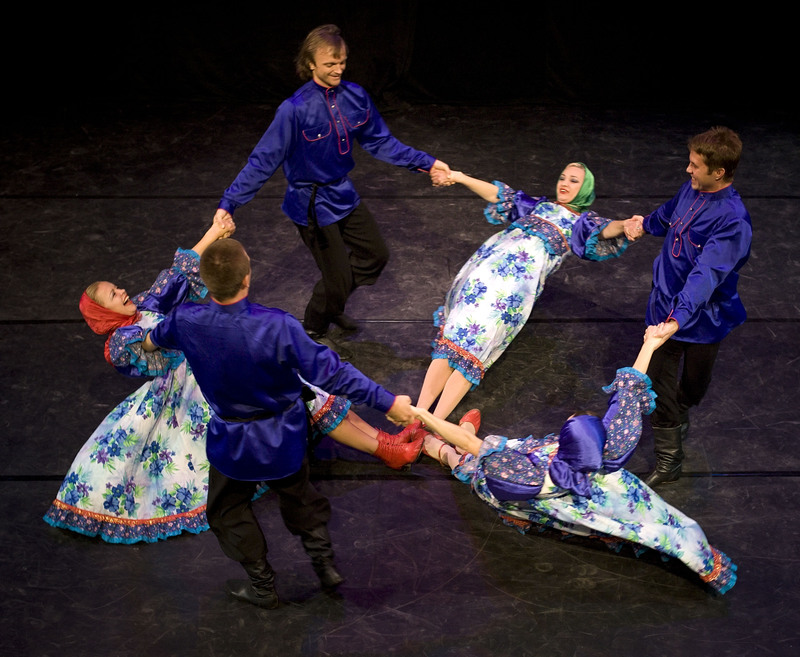 Russian Nobility dance "Daniel Cooper"
Russian Nobility dance Daniel Cooper choreographed by Valentina Kvasova. Photos by Dalia Bagdonaite. 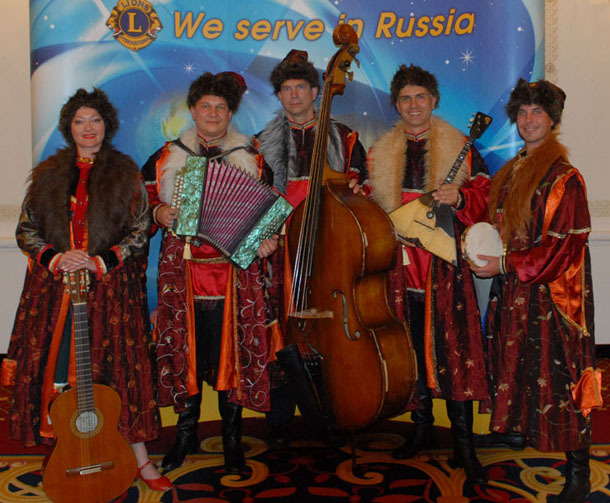 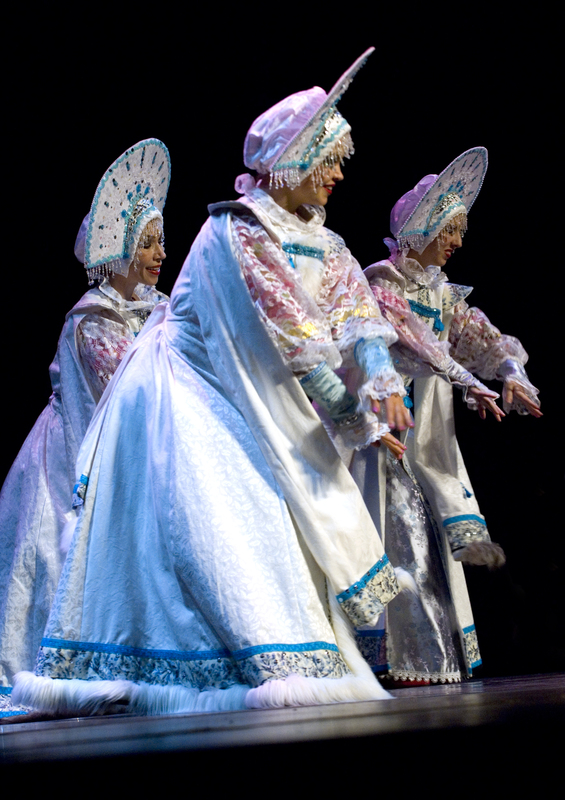 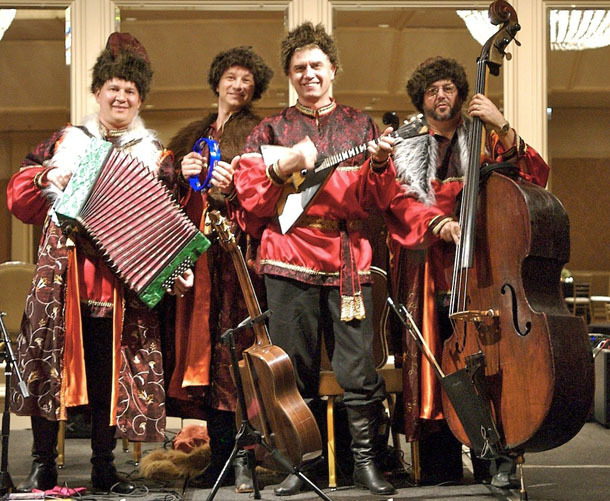 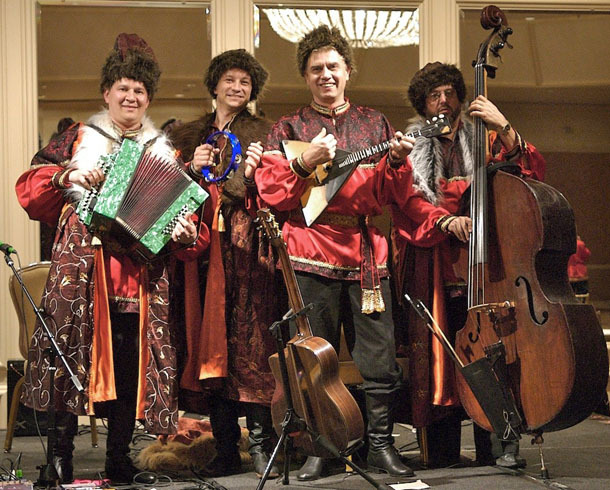 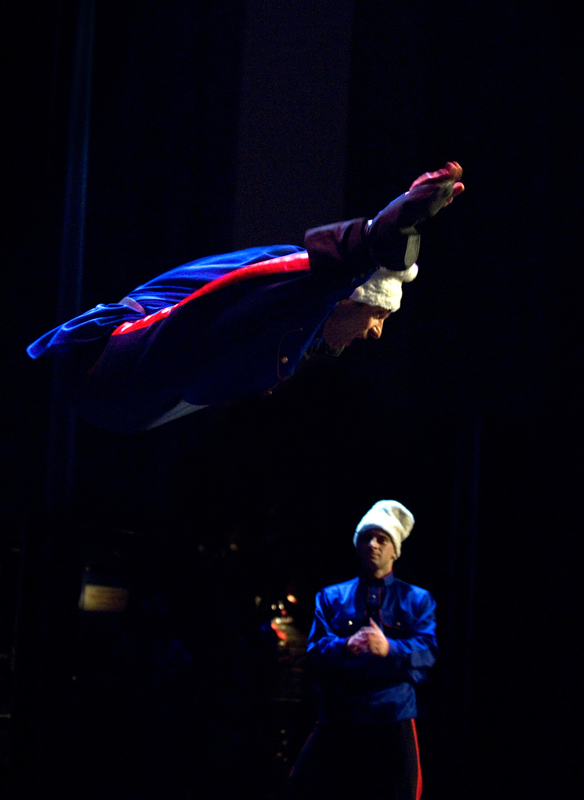 Ensemble Barynya invested over two hundred thousand of roubles into recreation of the costumes that Russian Nobility was wearing during their lavish Nobility Balls. 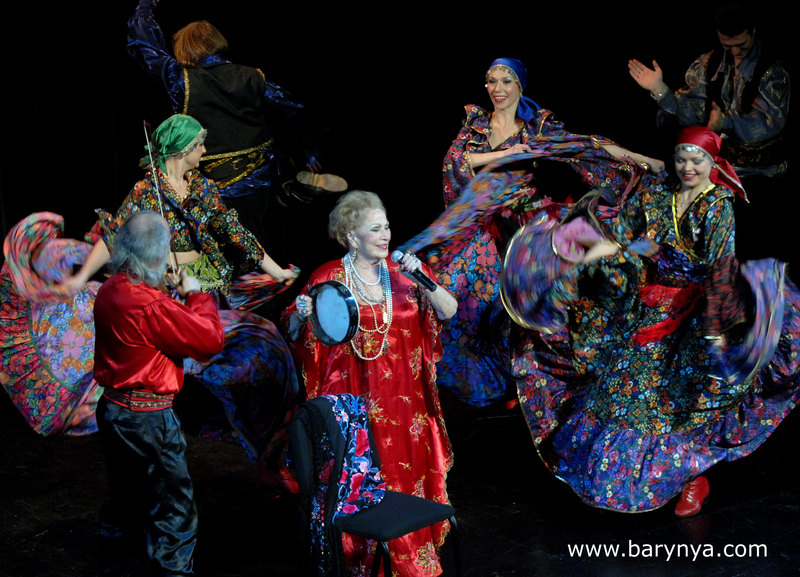 Famous Russian couture and fashion disigner Yana Brink, author of book Russian Fashion Now (Moscow, Russia, 2006) designed every dress according to historic documents and archives. 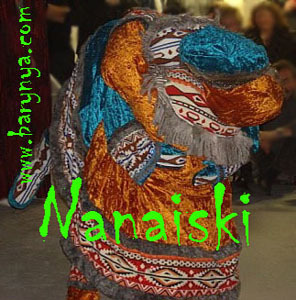 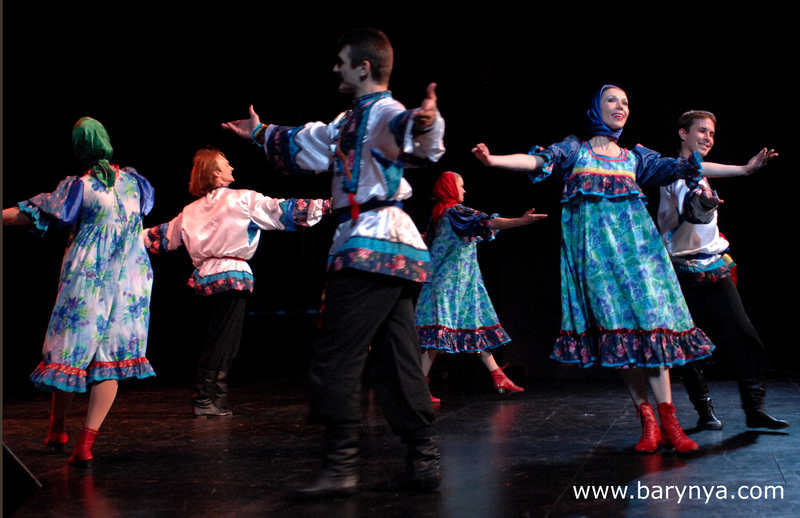 Dance Ivan Kupala was inspired by celebration of Ivan Kupala Day in Russia, Belarus and Ukraine. 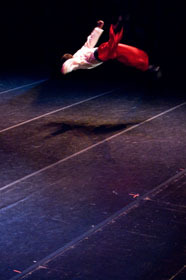 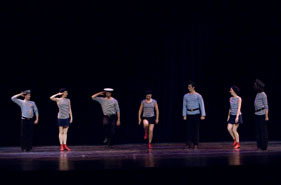 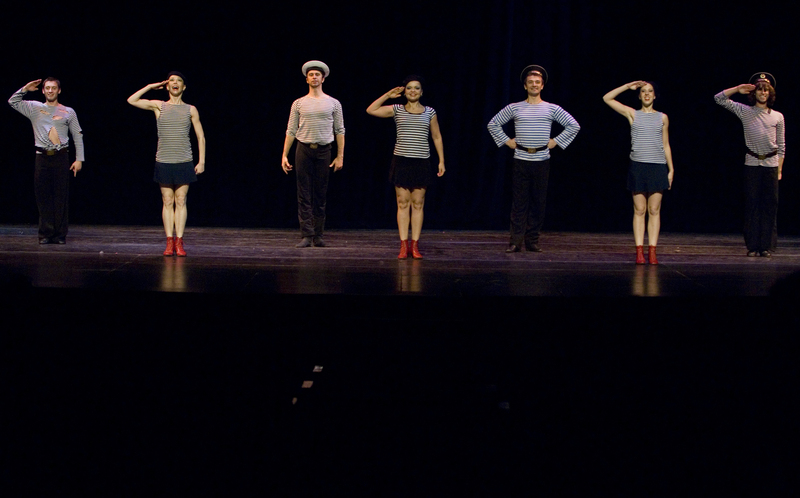 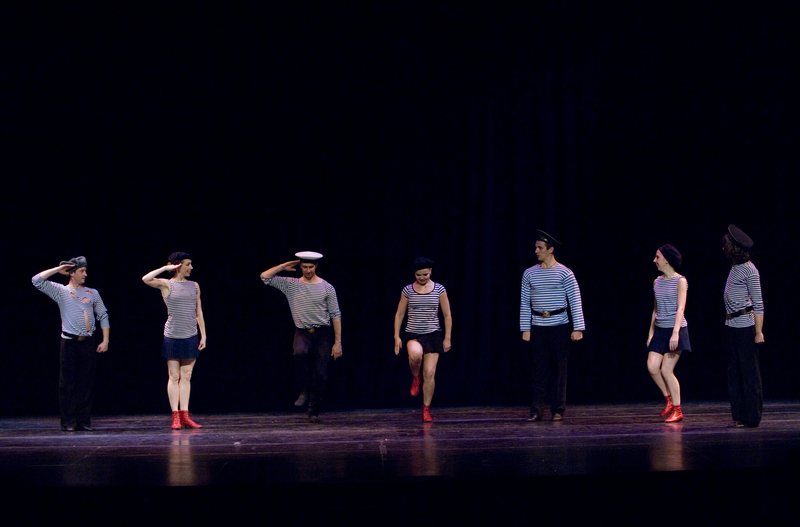 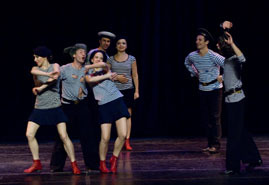 Choreographed by Valentina Kvasova. 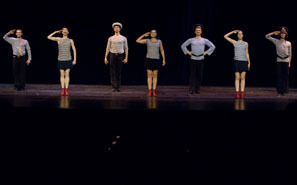 Photos by Dalia Bagdonaite. 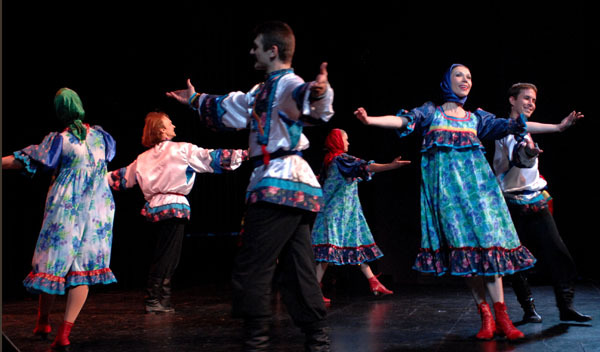 Russian, Russian Gypsy, Russian Cossack, Ukrainian, Russian Siberian stage costumes, costumed characters: (Gypsy fortune teller-dancer-singer, balalaika cats, Nanaisky fighting Doll) for professional stage performances made by Russian costumes designer Svetlana Gavrilova. 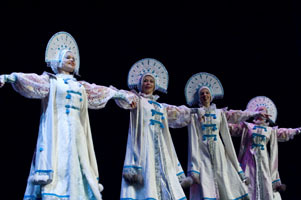 Russian costumes designer Svetlana Gavrilova. 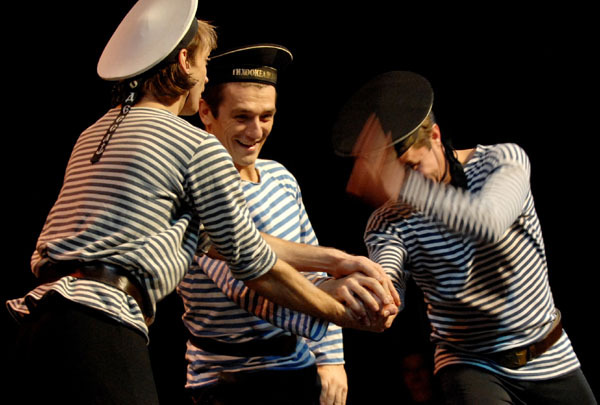 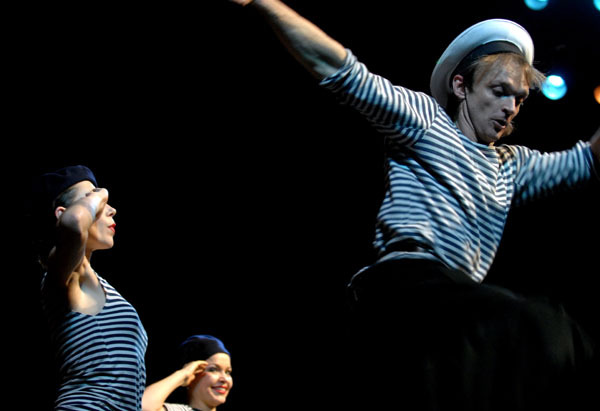 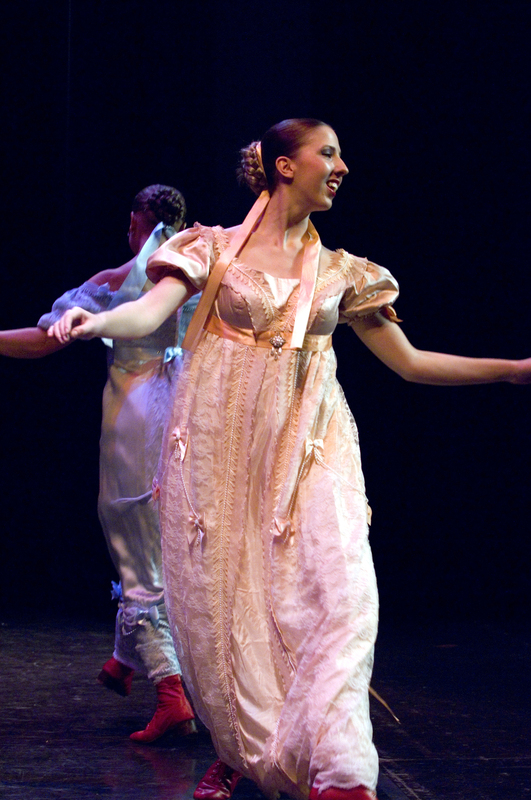 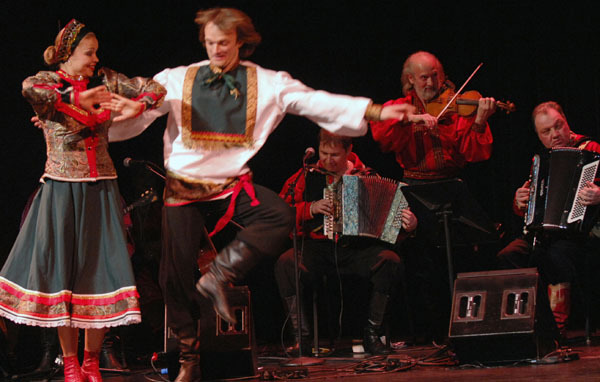 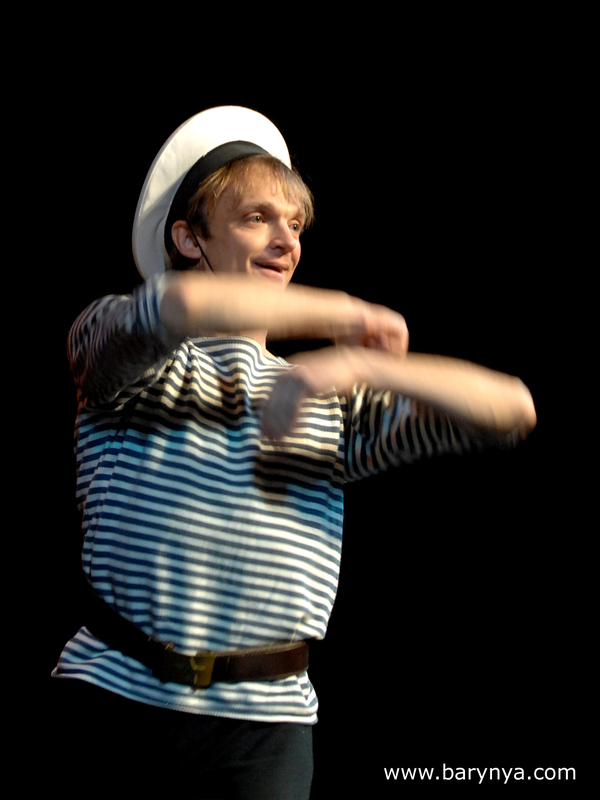 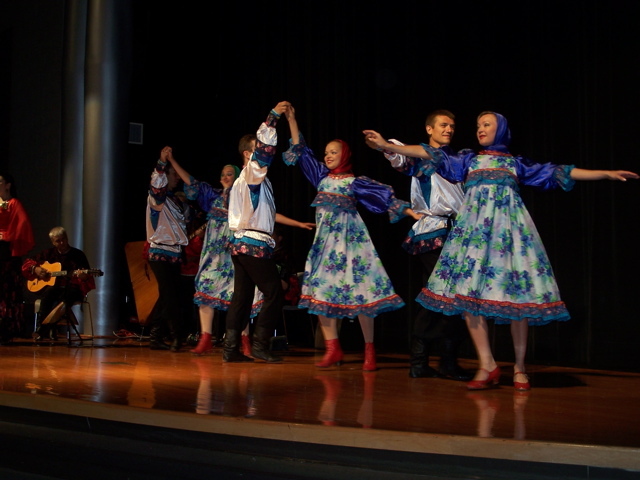 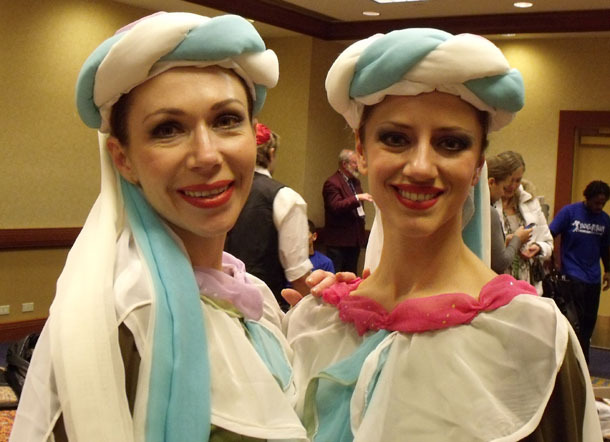 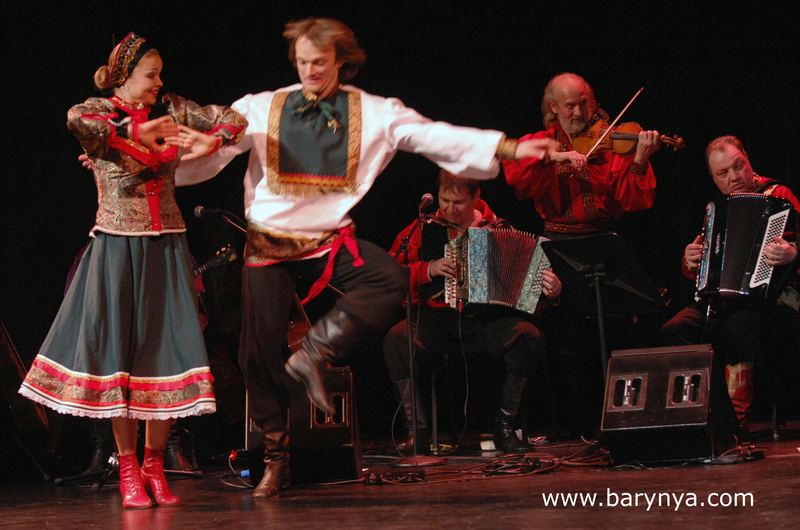 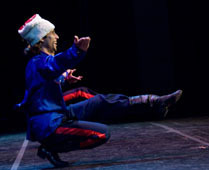 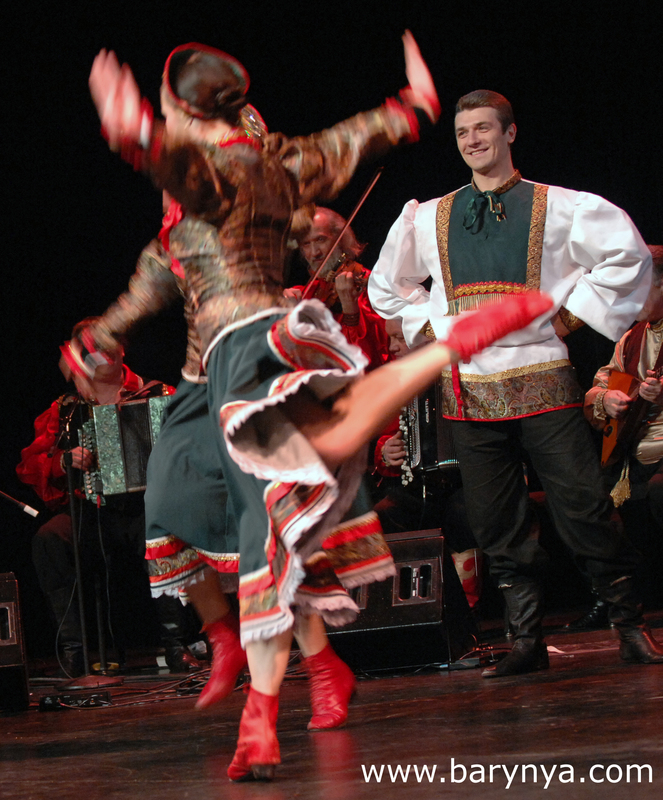 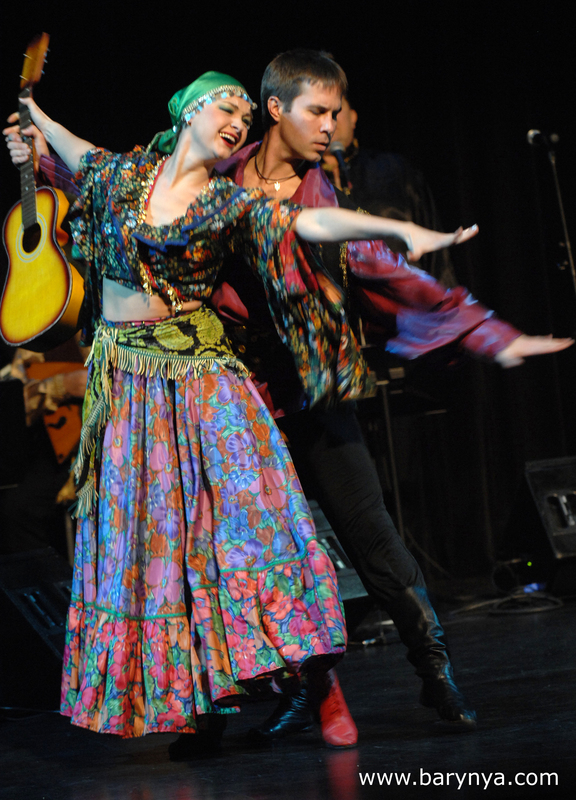 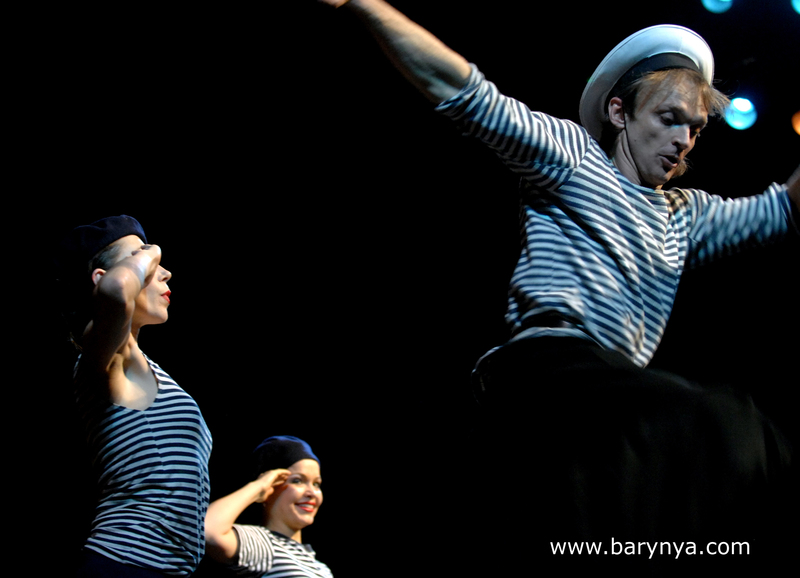 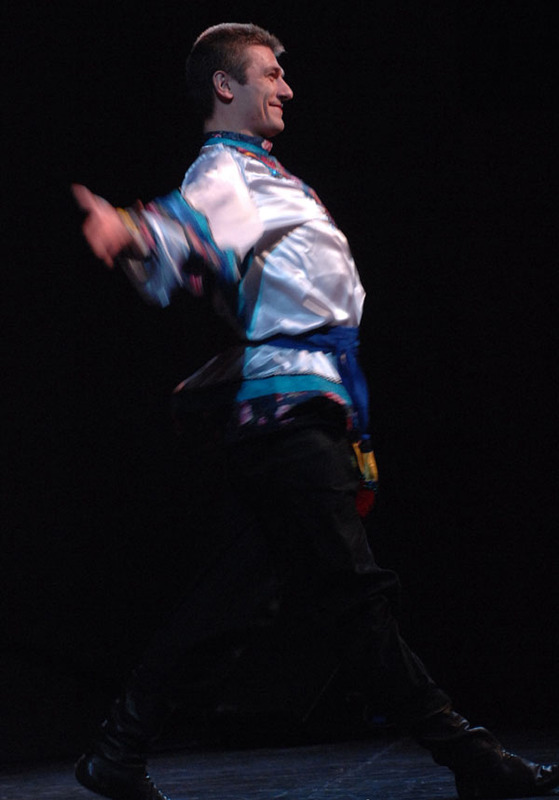 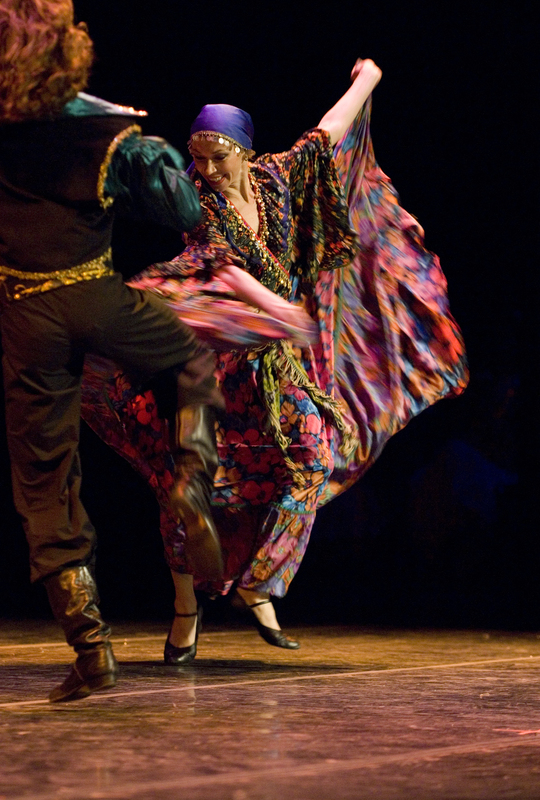 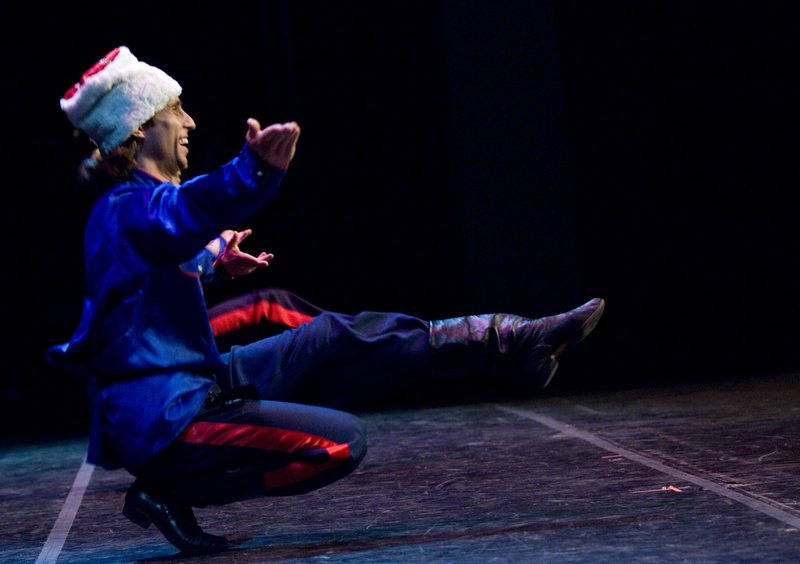 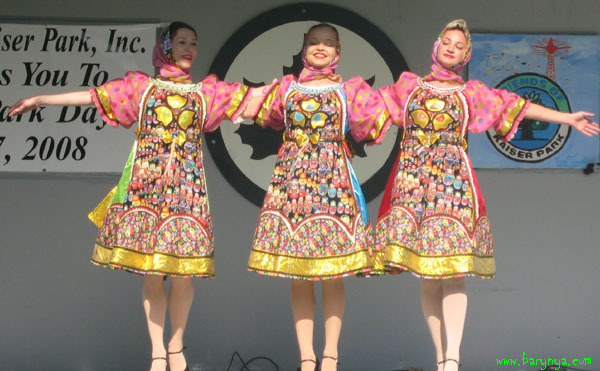 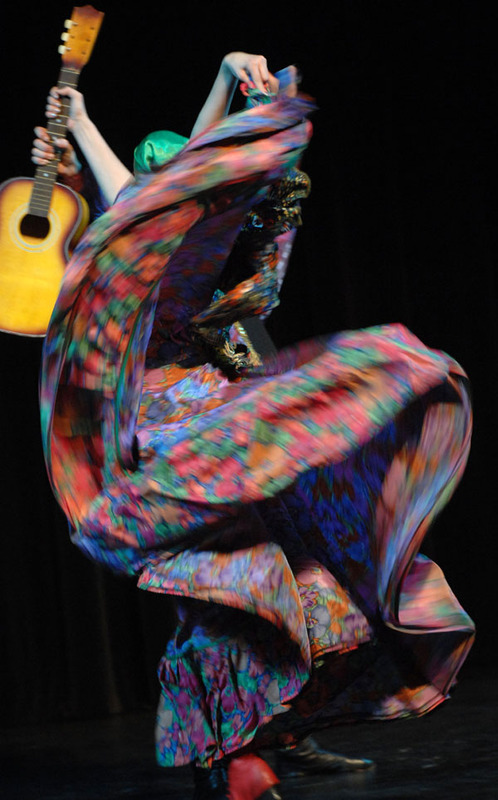 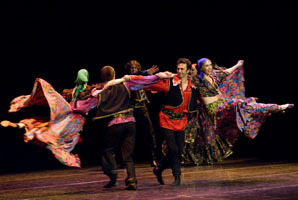 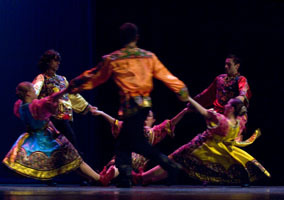 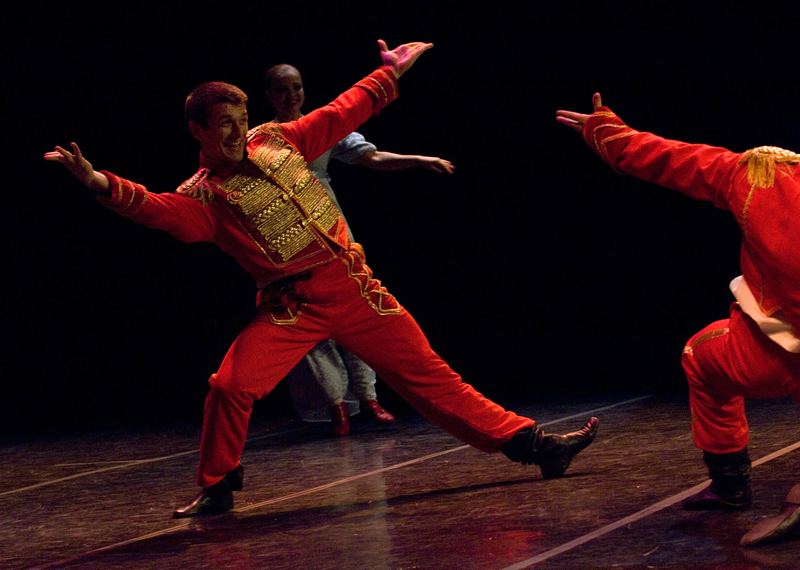 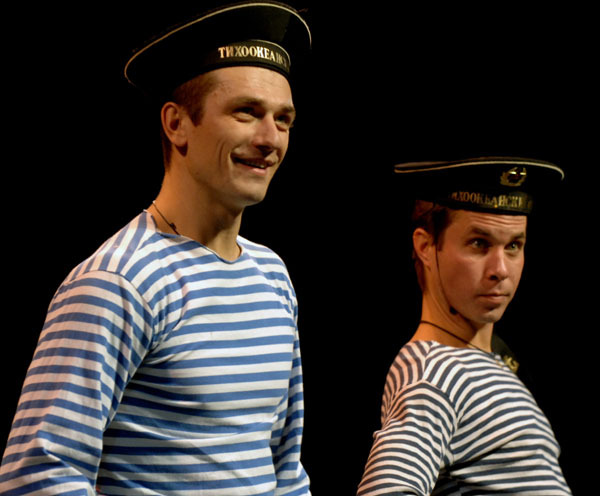 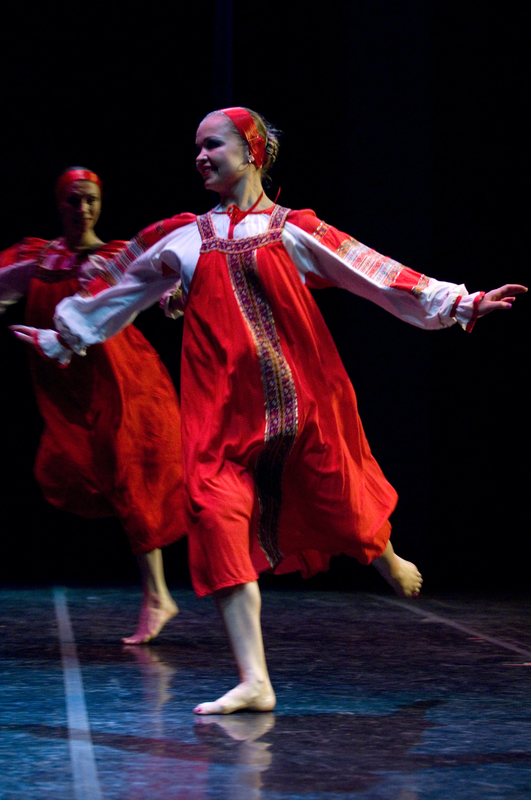 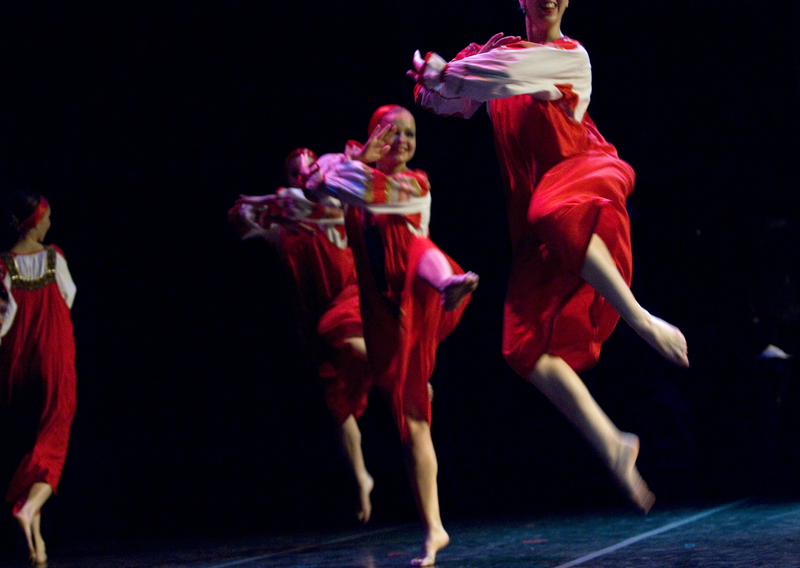 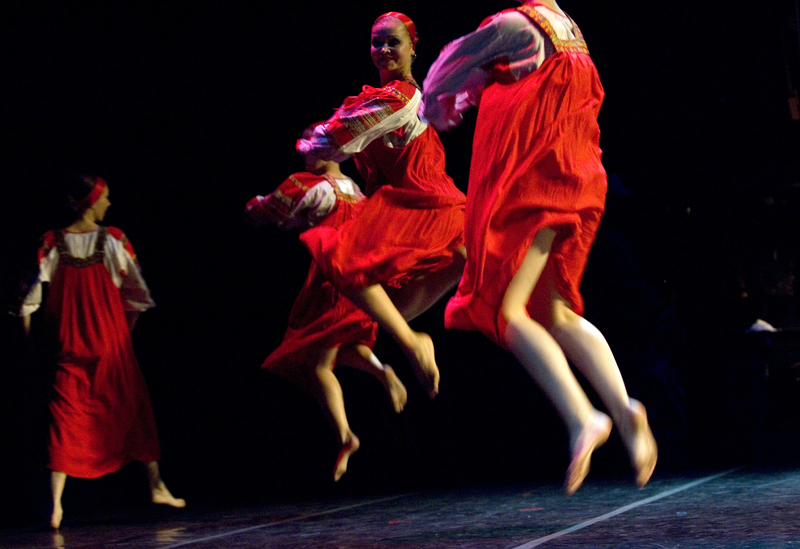 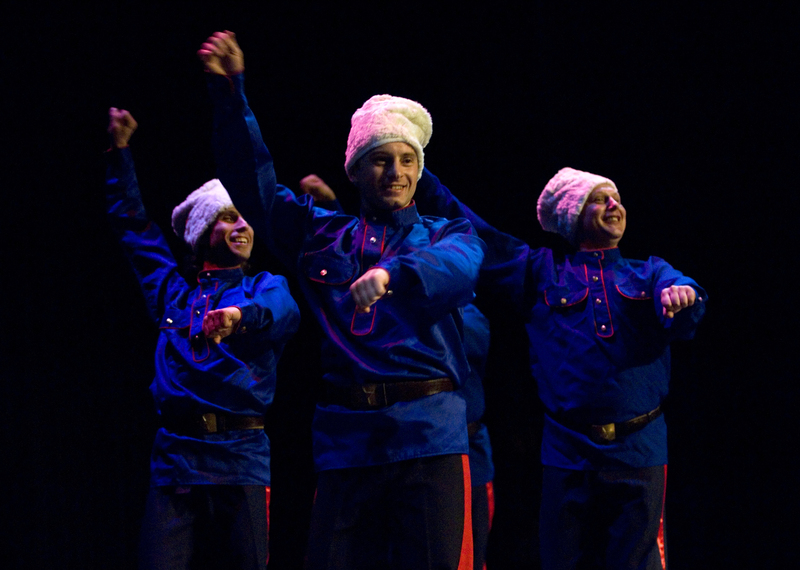 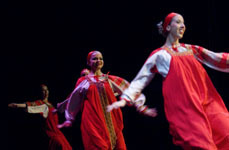 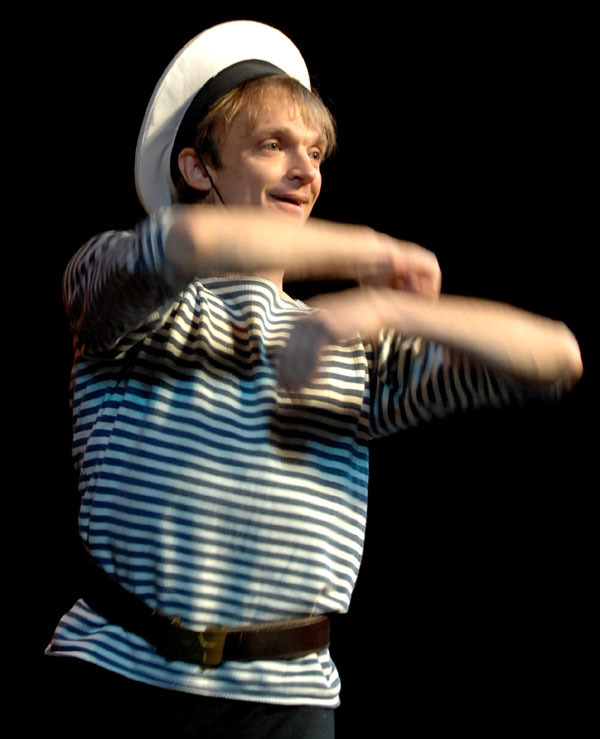 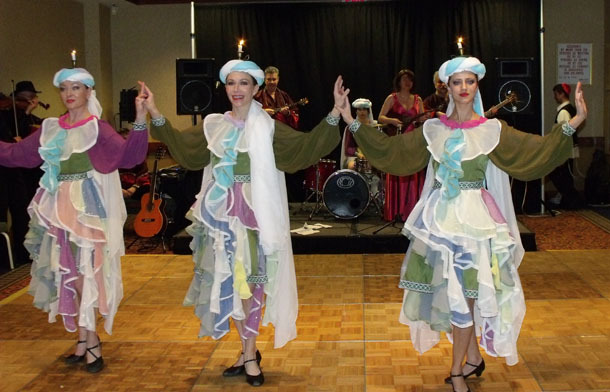 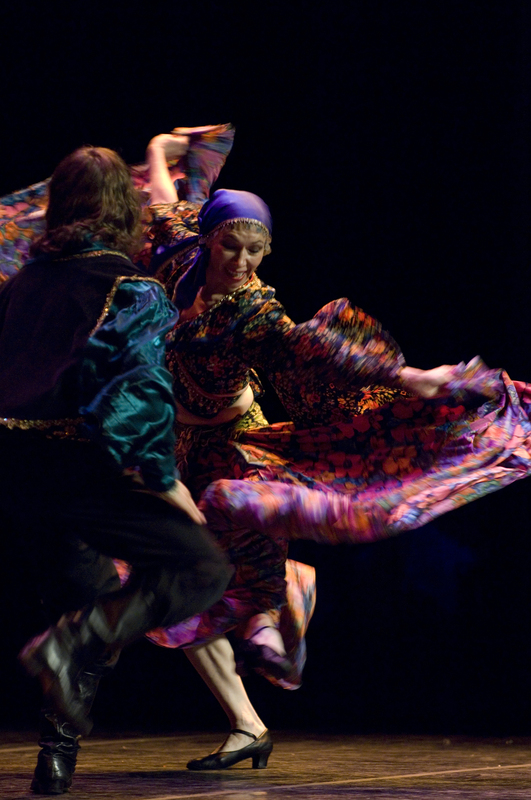 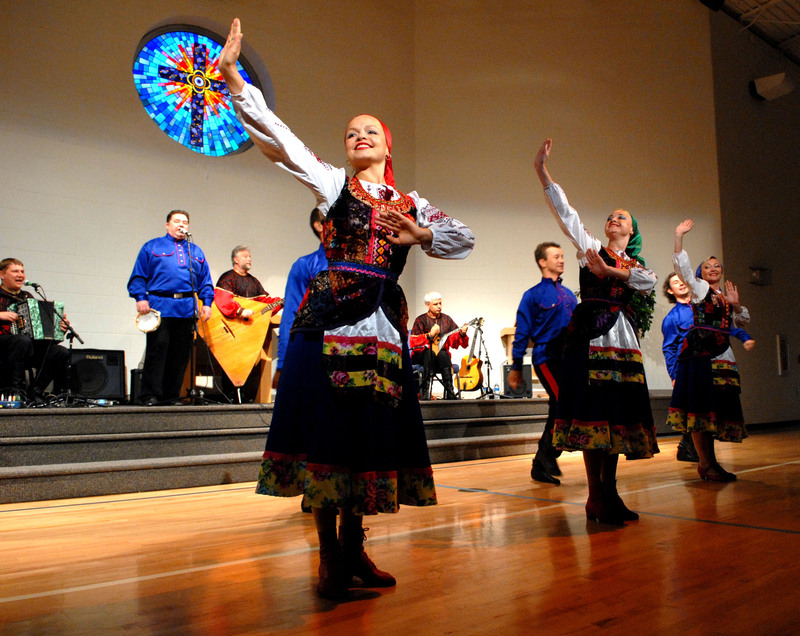 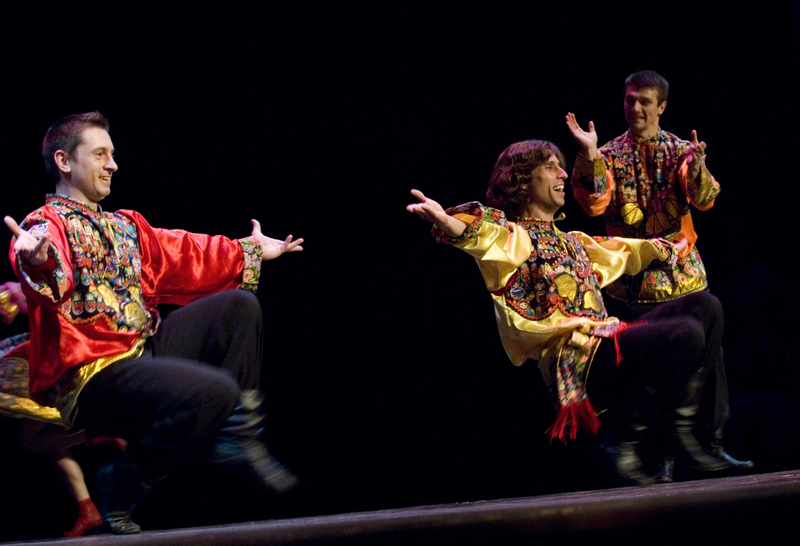 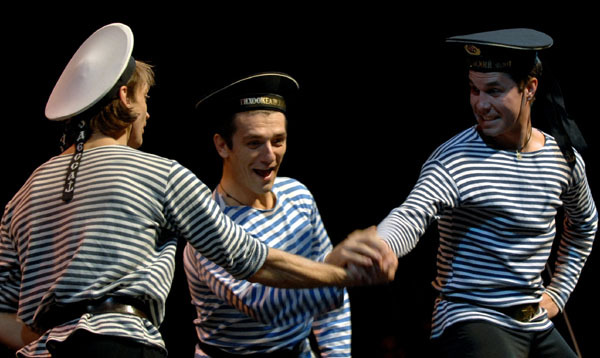 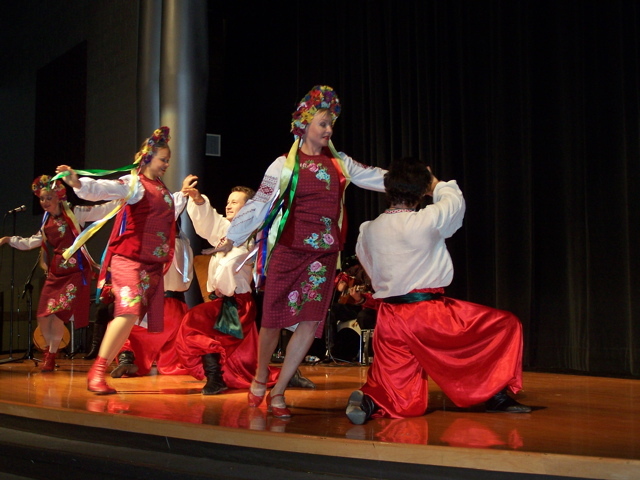 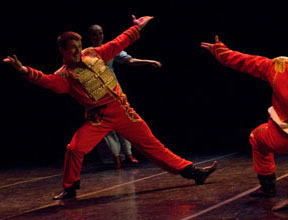 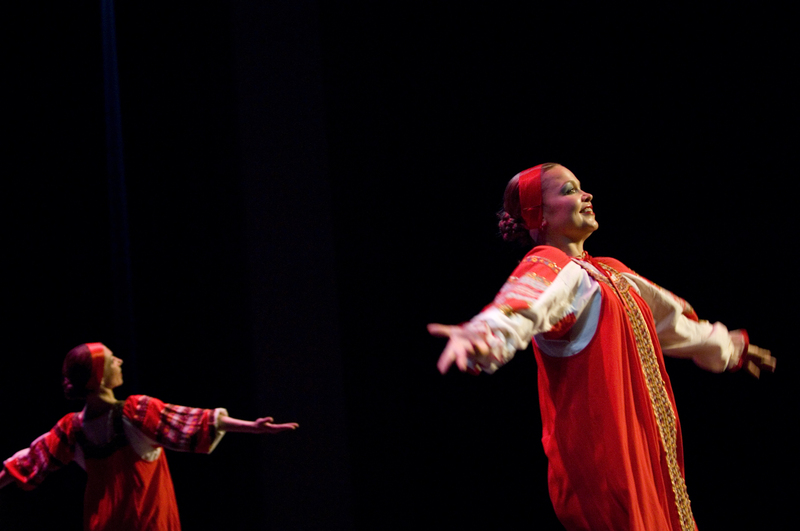 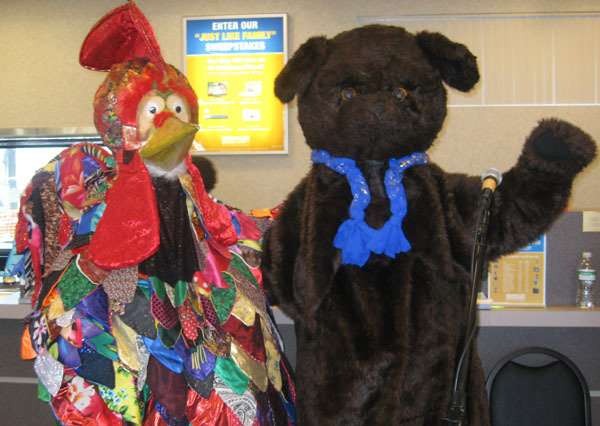 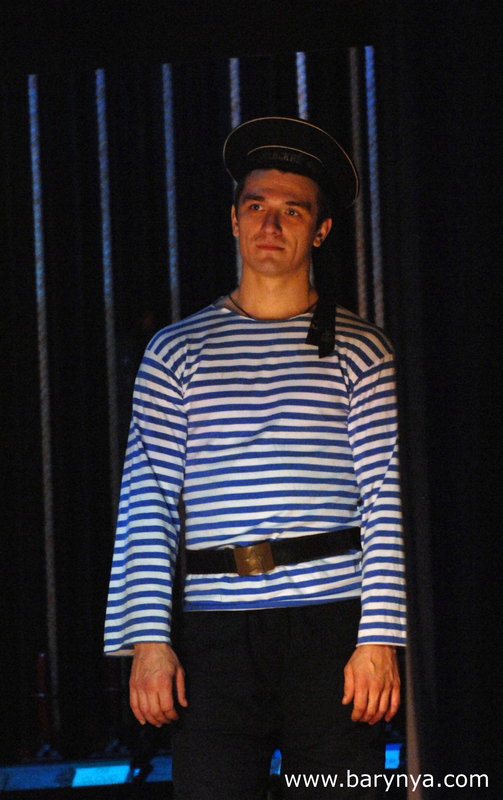 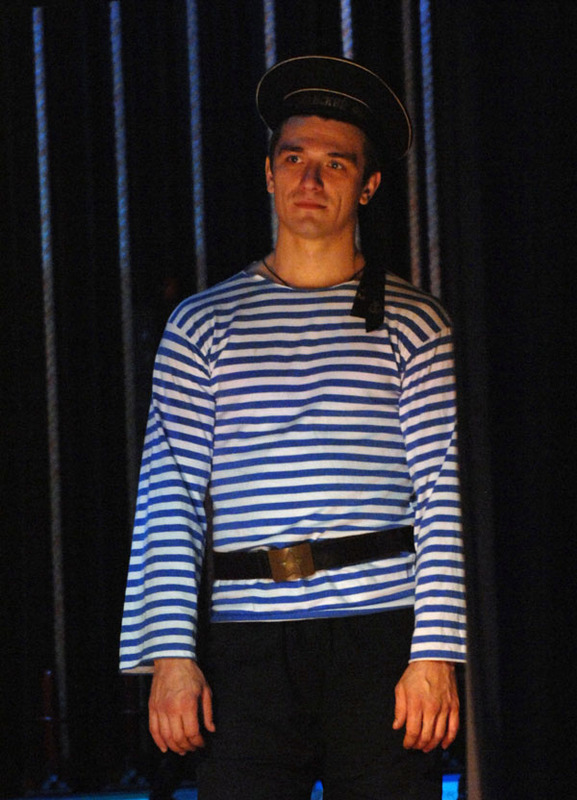 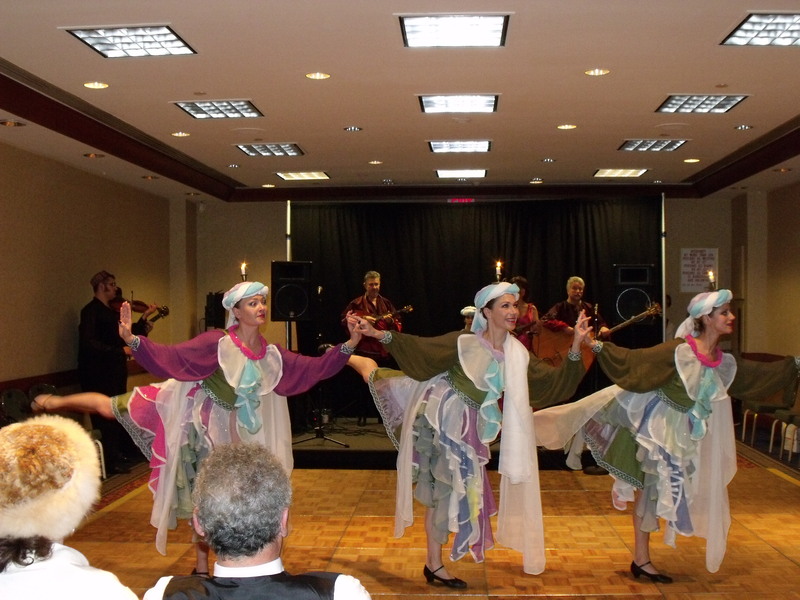 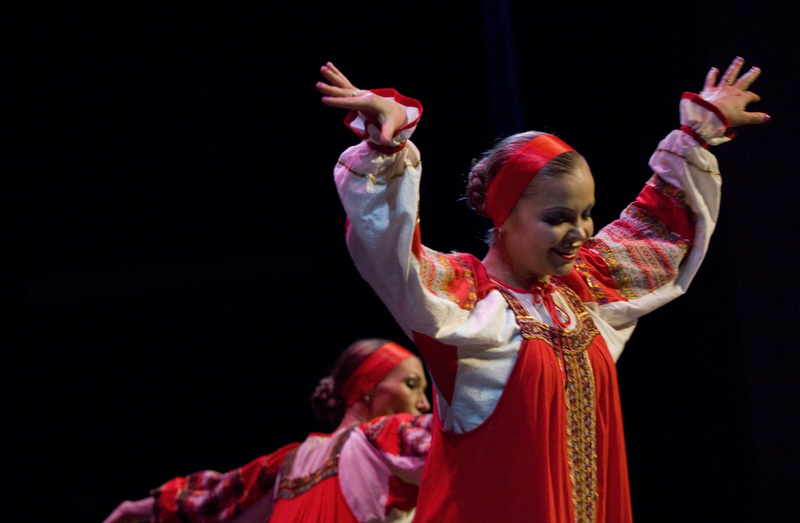 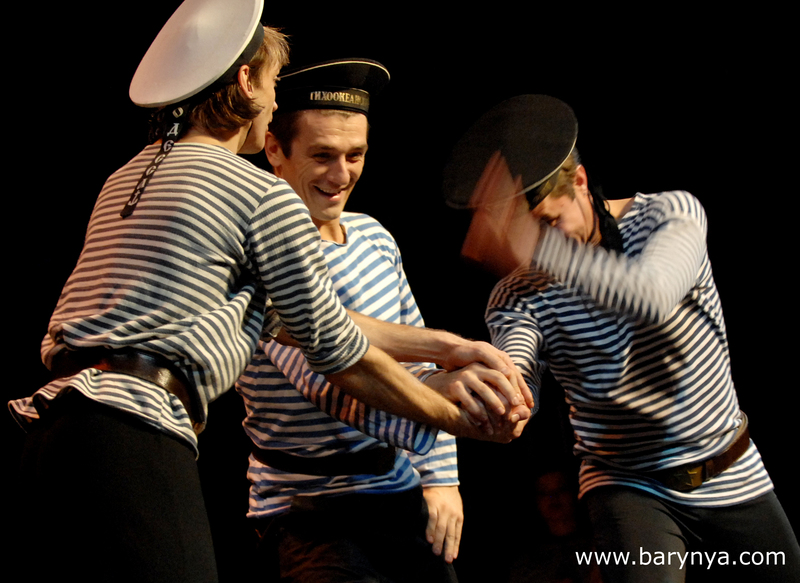 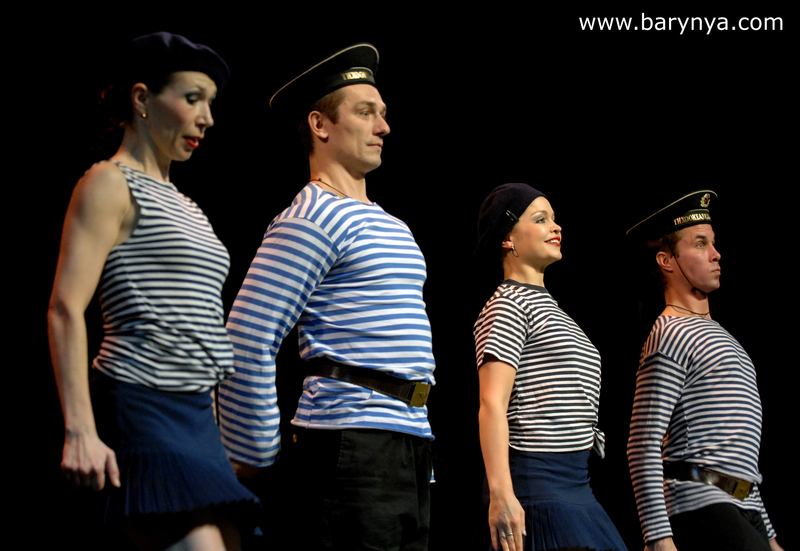 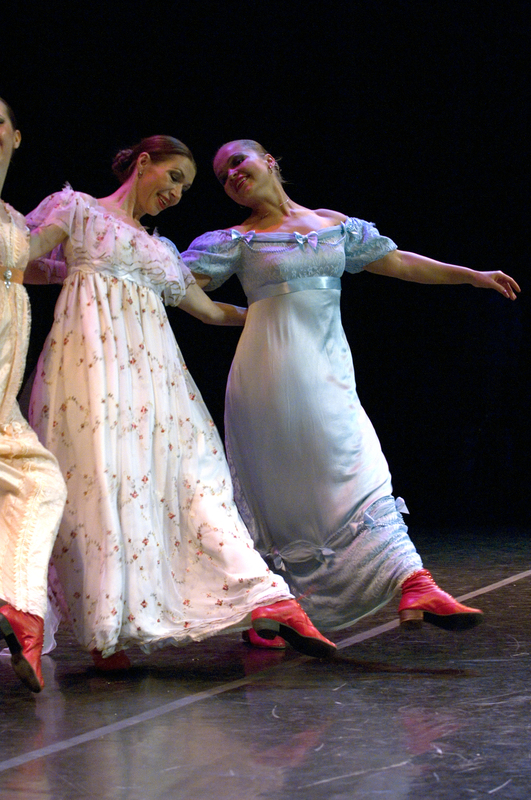 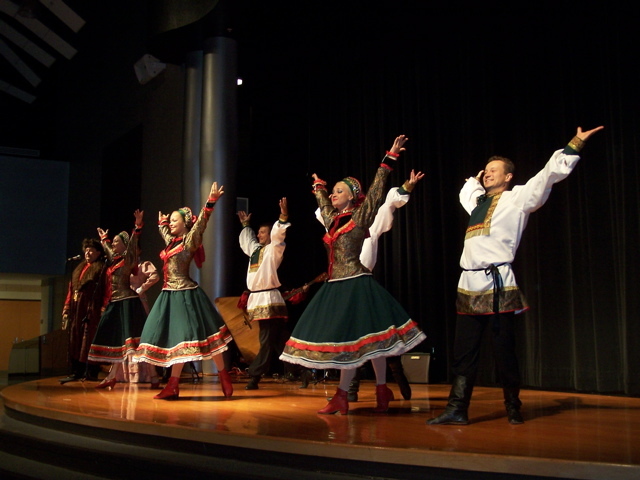 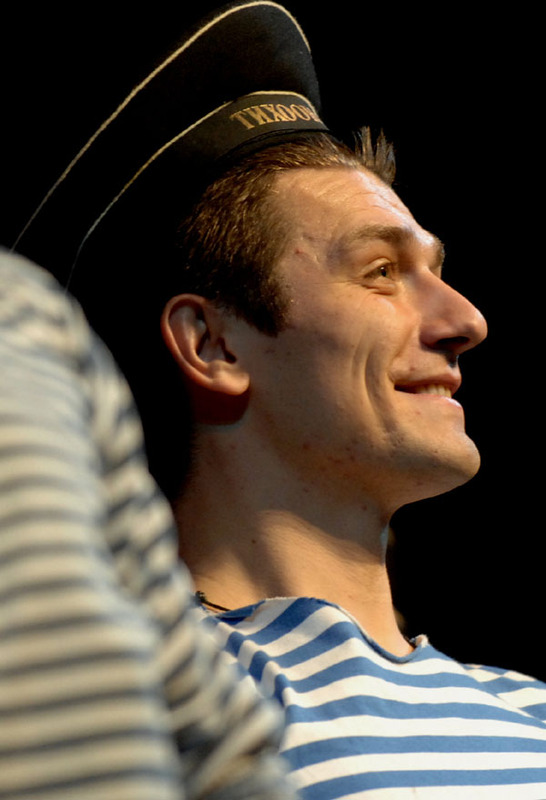 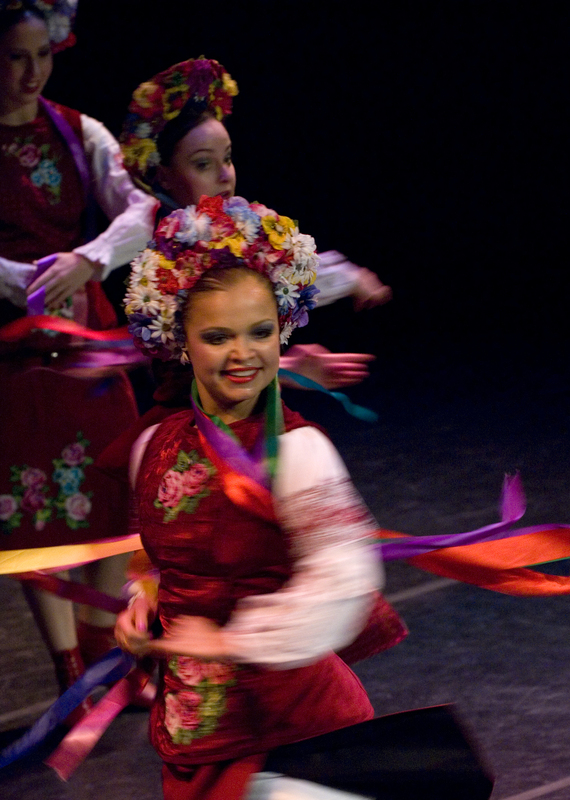 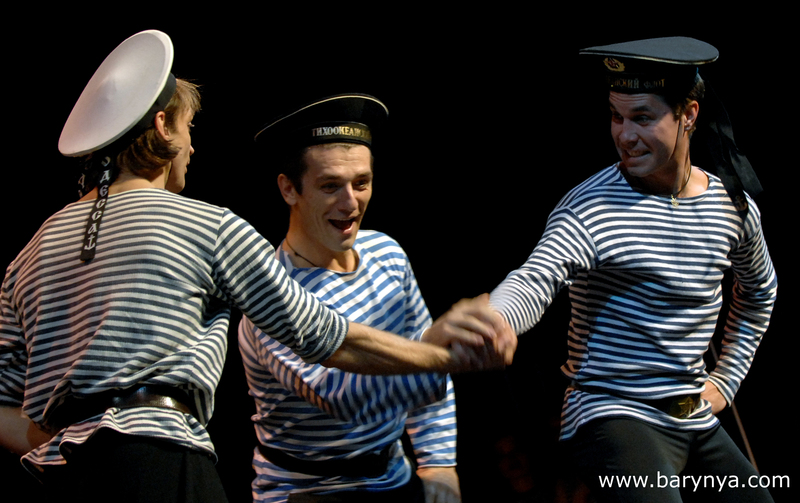 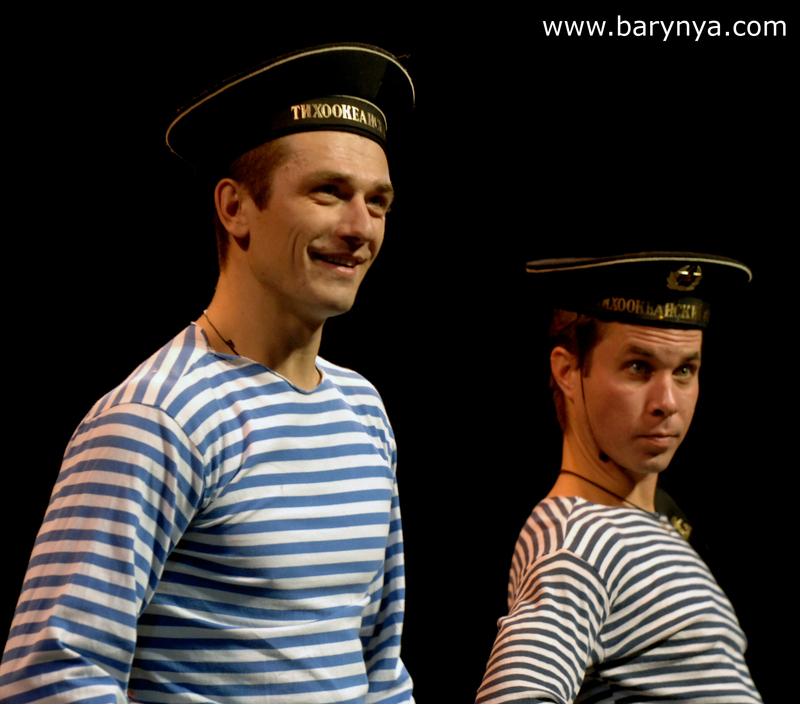 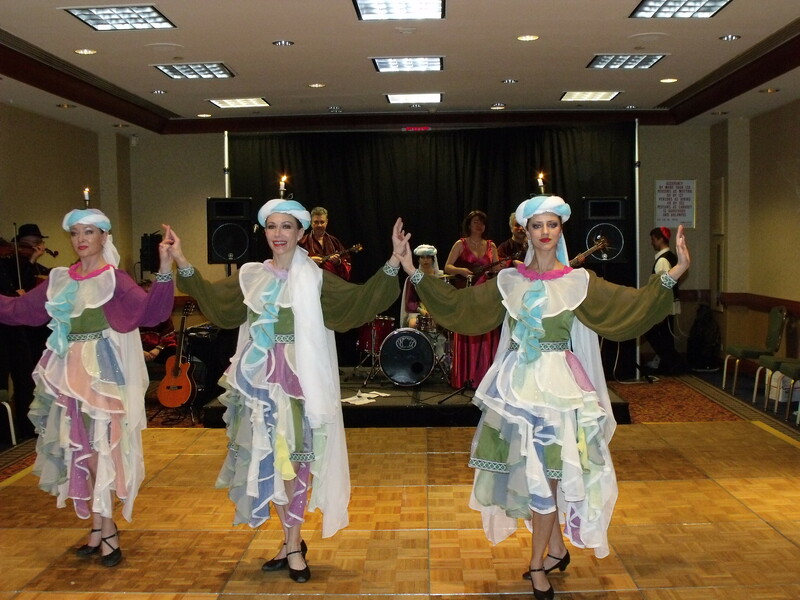 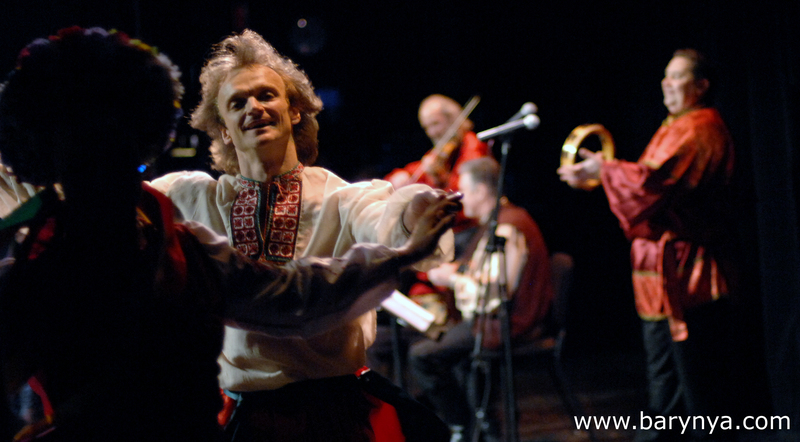 Since 2003 Russian dance, song and music ensemble Barynya from New York is performing completely dressed into costumes made and designed by Svetlana Gavrilova. 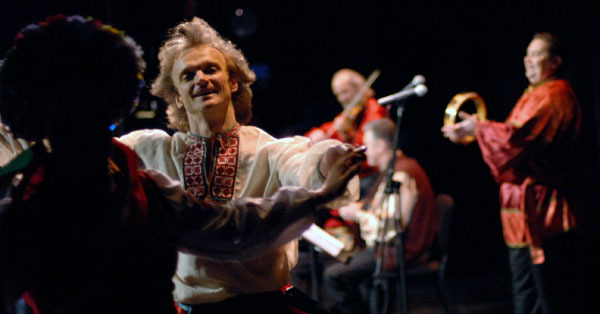 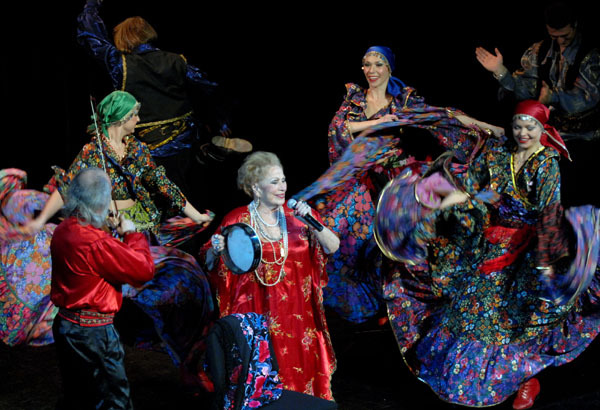 Most of the photos taken by Dalia Bagdonaite during concert of legendary Russian Gypsy singer Zhenya Shevchenko and ensemble Barynya (Artistic Director Mikhail Smirnov) recorded in New York City on Saturday, January 26, 2008. 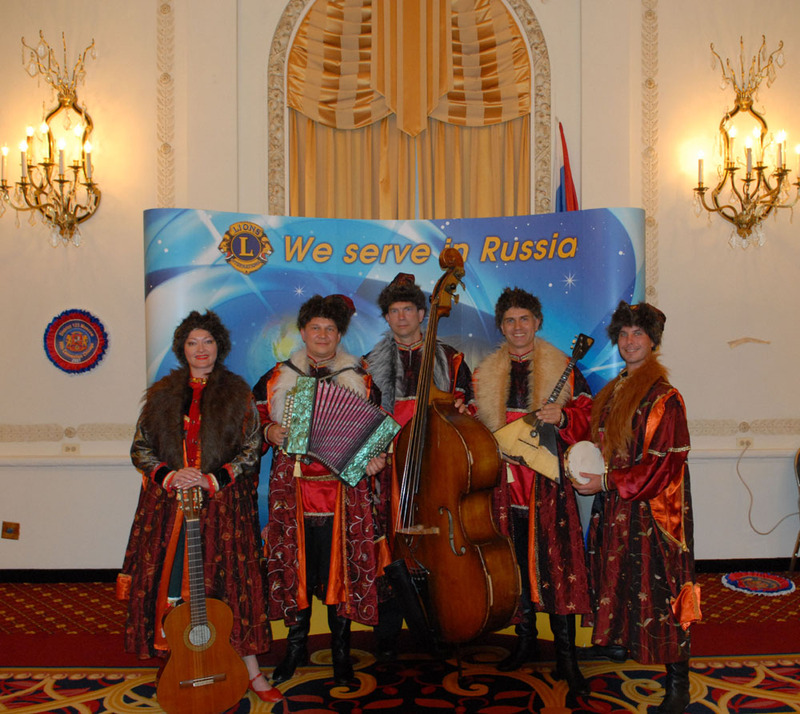 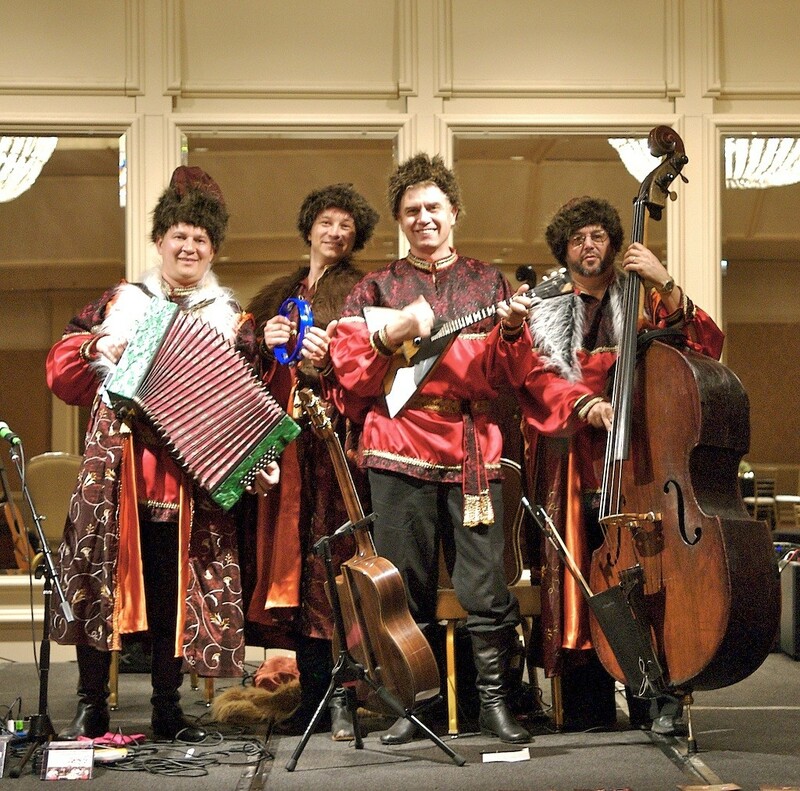 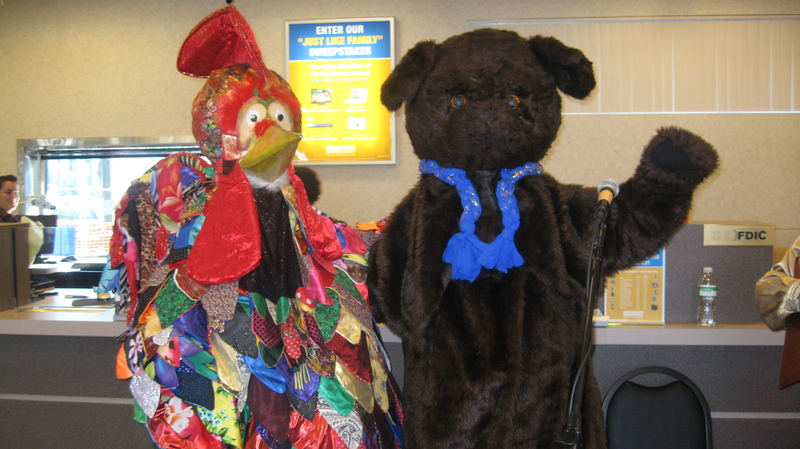 Article from The Balalaika and Domra Association of America officail journal written by Irene Perloff McCullough.